Good morning! Birthdays are always extra special around our house! How about yours? I’m sure it’s the same! Whether you’re planning a pretty princess themed party or superhero themed party, there’s one party guest that should always, always be invited: Hershey! 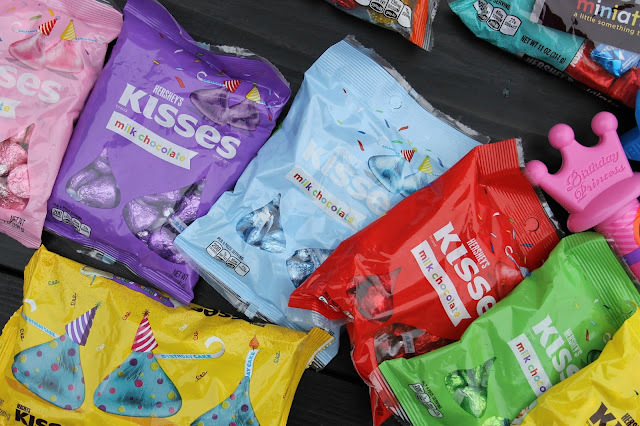 From the brand new Hershey’s Kisses Birthday Cake Candies to Reese’s Peanut Butter Cups Miniatures to (my favorite) Hershey’s Kisses Chocolates (in tons of colorful wrappers! 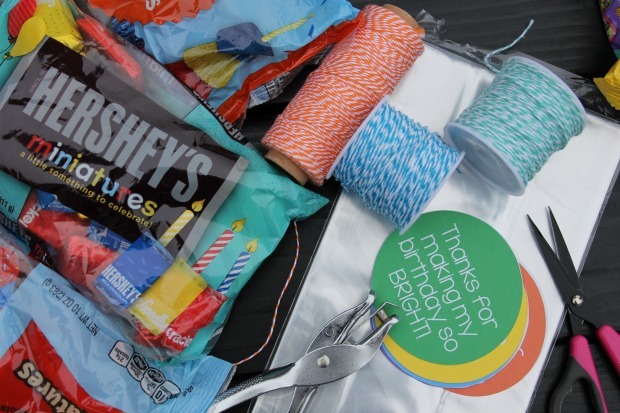 ), your favorite Hershey products are now available all dressed up especially for birthdays. Eek! 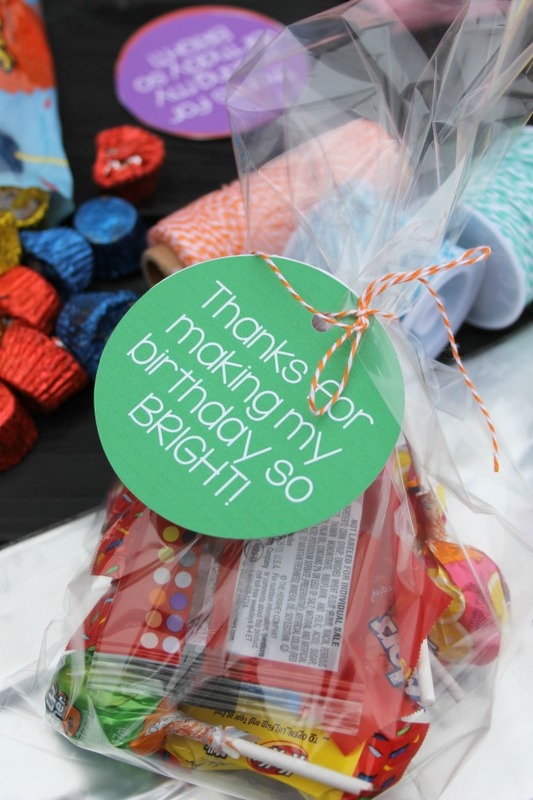 These candies are sure to sweeten any birthday celebration! 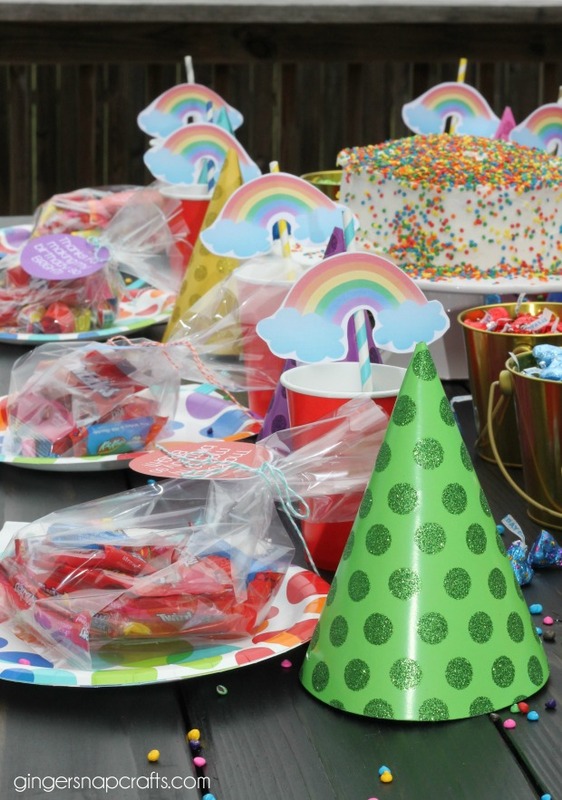 I used them to put together this fun Rainbow Themed Birthday Party. 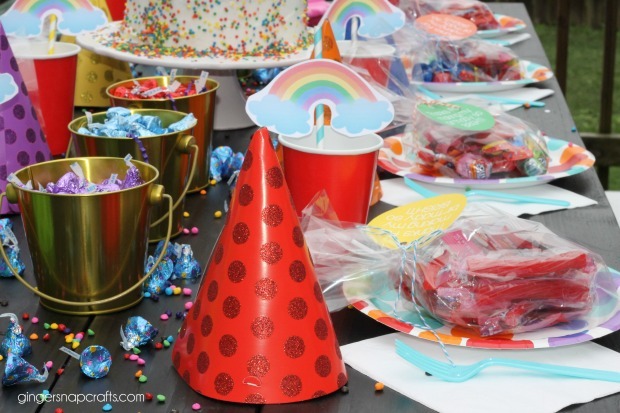 This colorful party will help make your kiddos feel extra special on their BIG day. 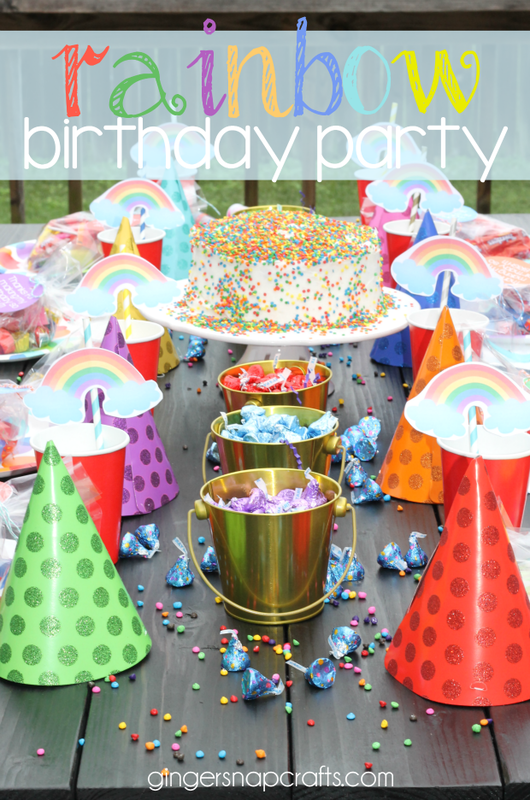 I also have some free party printables for you! 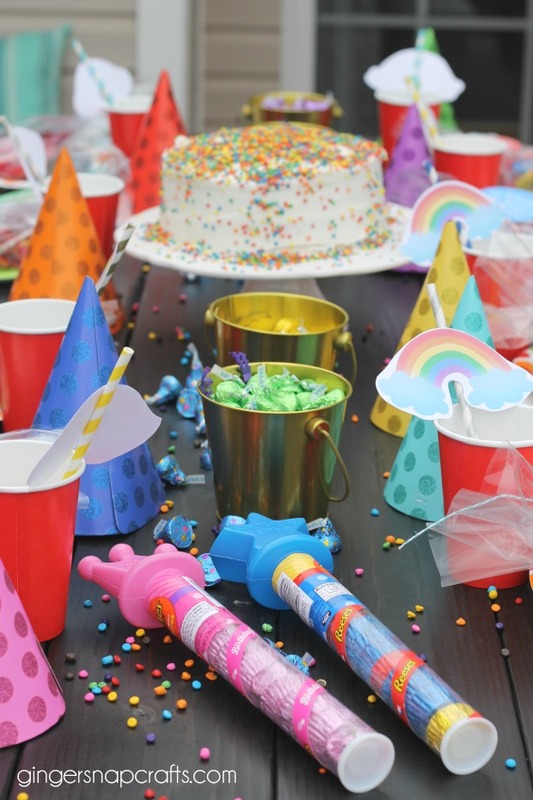 Now you’ll want to have all of your Birthday parties with Hersheys, too! Let’s get this party started! 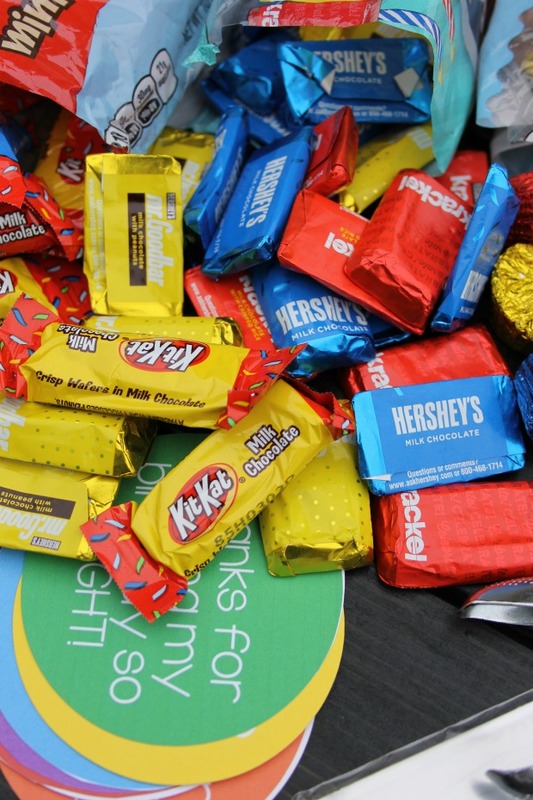 Let me introduce to some of the birthday candies from Hershey. 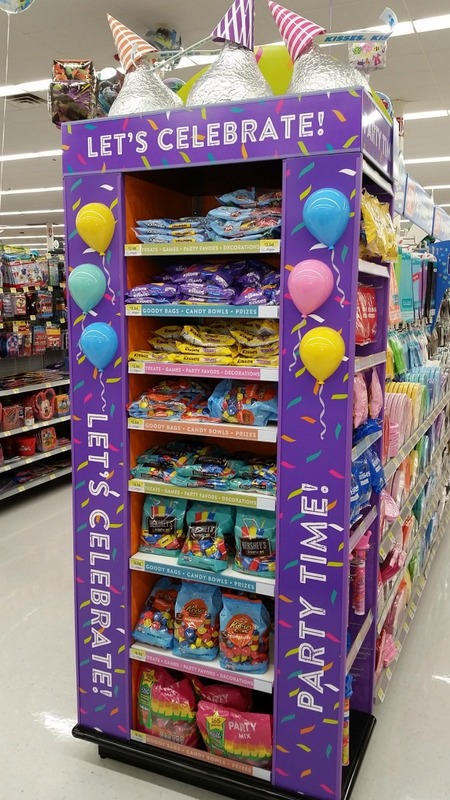 (FYI: You can find all of these fun Hershey products at Walmart in the party section.) 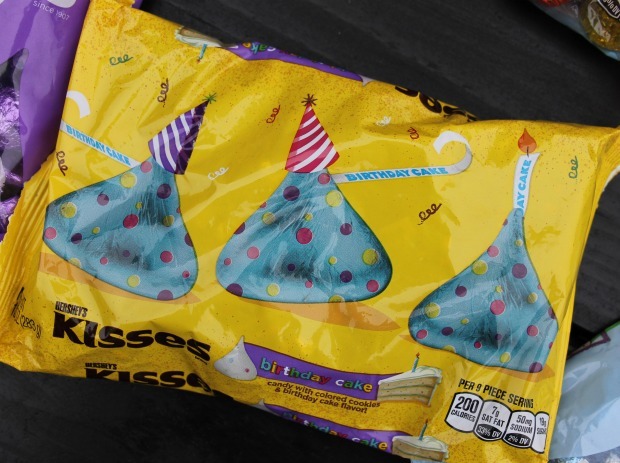 The new Hershey’s Kisses Birthday Cake Candies give you the taste of birthday cake with just one bite & completes the fun with a satisfying sprinkle crunch! 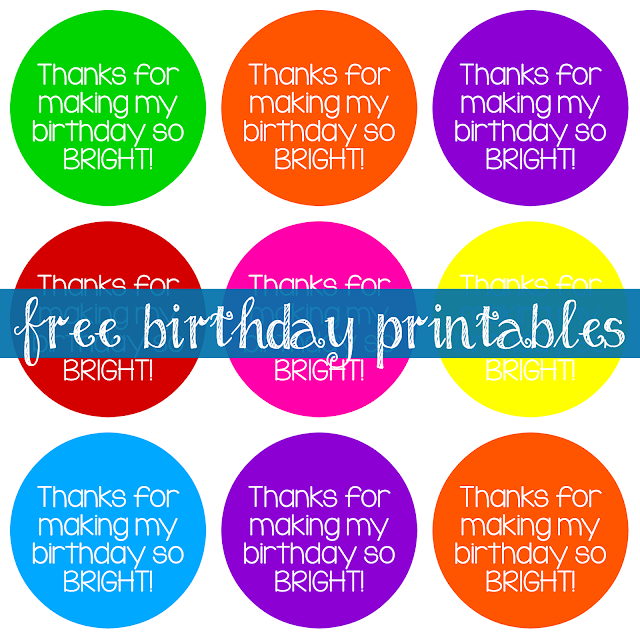 They are perfect for any birthday theme. I used these to sprinkle on the table as part of the party décor. I just love the cute confetti wrappers! 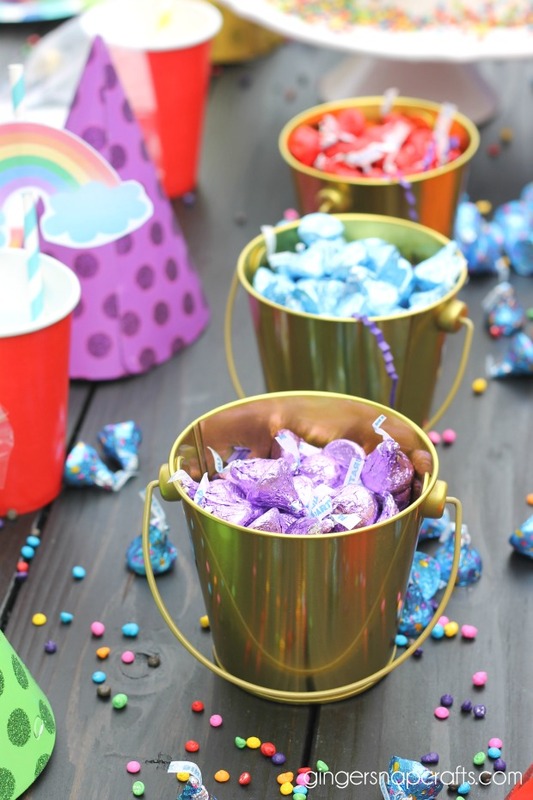 I love how the new Hershey birthday products are dressed in their party best, including Hershey’s Kisses Chocolates in their brightly wrapped foils to fit a variety of birthday themes! 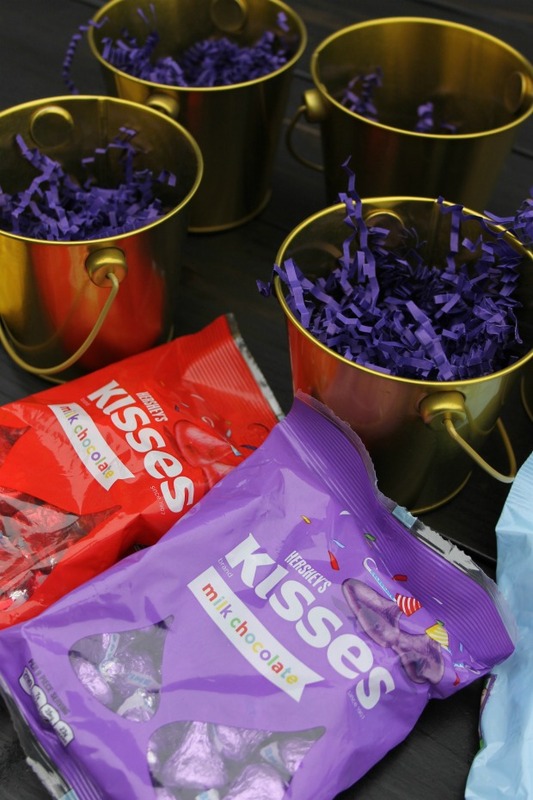 Hershey’s Kisses Chocolates in all of these fun colors were what inspired me to throw this rainbow themed party. 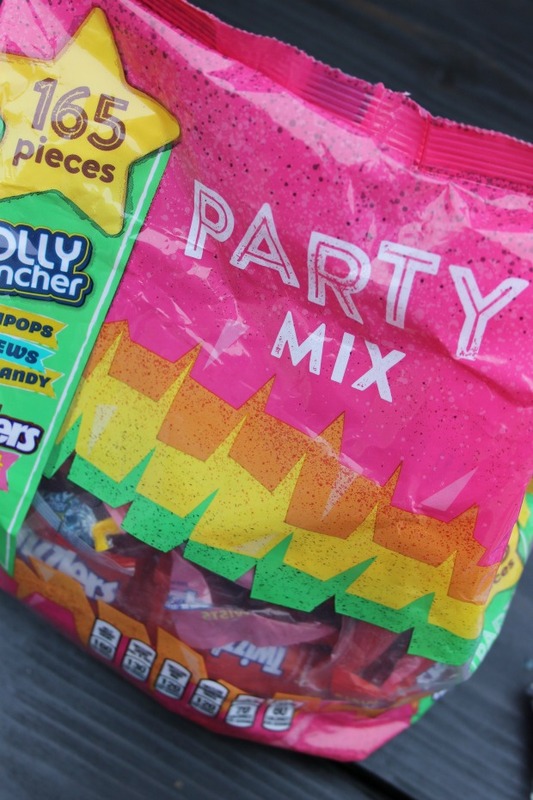 Just imagine all of the party possibilities with all of these fun colors! Print out the tags, cut them out & then punch a hole in the top. Then simply fill the bag & tie on the cute tag with twine. Easy peasy! 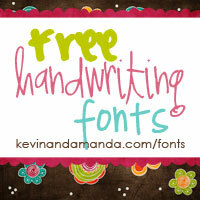 You can print out your own set of tags by clicking the picture below. Another quick idea I’d love to share is an easy rainbow centerpiece. I simply put shred in the buckets & filled them with different colored Hershey’s Kisses Chocolates . Now it’s time to enjoy the party! HaPpY BiRtHdAy! 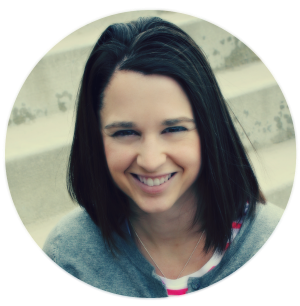 Let me know how your family celebrates birthdays! I’d love to hear!